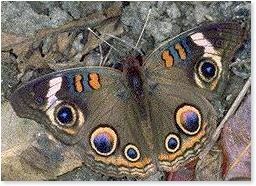 In 2009 fourteen participants found 1,154 butterflies of 47 species. The Ojibway Prairie Complex received the majority of coverage. Sites visited by counters included Spring Garden Natural Area, Ojibway Prairie Provincial Nature Reserve, and LaSalle. The count was hosted by the Ojibway Nature Centre and The Friends of Ojibway Prairie sponsored a picnic lunch and refreshments. Northern Oak Hairstreak was new for the count (1 prior reecord for count week). 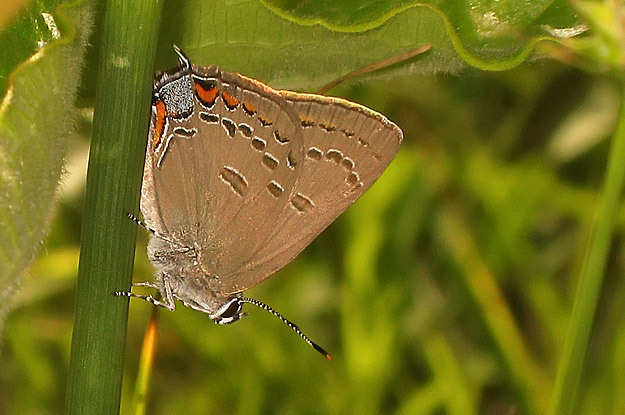 68 species (plus 1 count period) have been recorded over the sixteen butterfly counts. 1. Windsor, ON. 42�'N, 82�'W, 04 July 2009; 0830-1630 hrs; sun AM 10%, PM 10%; 65-75癋; wind 0-6 mi/hr. 14 observers in 3 parties. Total party-hours 13.5; total party-miles on foot 15. Observers: M. Calder, K. Cedar, P. DesJardins, S. Greidanus, S. Grondin, J. Larson, B. Learmouth, K. Lesperance, K. Newman, L. Onysko, P. Pratt , P. Renaud, B. Ross, I. Woodfield. Silver-spotted Skipper 32, S. Cloudywing 4, N. Cl. 8, Columbine Duskywing 1, Wild Indigo Du. 2, Least Sk. 12, European Sk. 161, Peck's Sk. 4, Tawny-edged Sk. 10, Crossline Sk. 7, N. Broken-Dash 87, Little Glassywing 38, Delaware Sk. 15, Hobomok Sk. 20, Black Da. 1, Dun Sk. 1. Unidentified: grass-skippers 4, Phyciodes 1. Total 47 species, 1154 individuals. 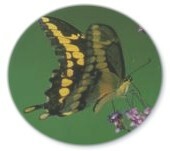 Field Notes: Giant Swallowtail seen on July 5, but missed on count day. Copyright � 2004-2010. All rights reserved. You are on a City of Windsor Web Site.